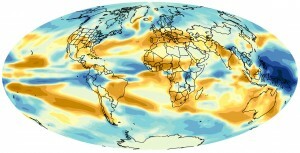 Whether short-term weather forecast or long-term climate change, predictions and modelling in meteorology and climatology generally happens on super-computers. StreamHPC focuses on preparing algorithms for execution on GPUs and other accelerator hardware (e.g., Xeon Phi), which make up the smallest elements in the distributed compute architecture of supercomputers. Contact us to discuss what we can do for you.